Log in to your PDP course if you are already registered. 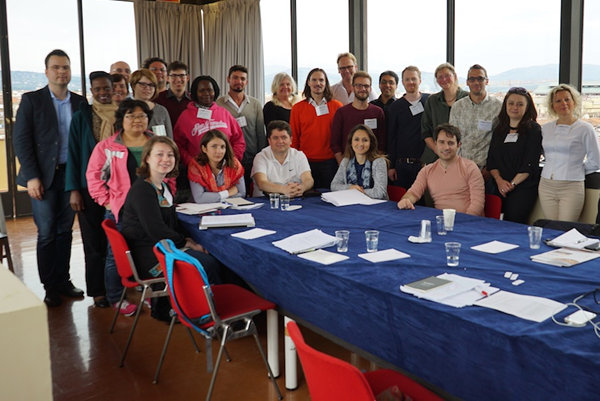 The International Association for Impact Assessment (IAIA) provides world-class training courses in impact assessment, almost entirely in conjunction with its conferences. To complement the conference-based training courses, the online Professional Development Program (PDP) is a trainer-supported training program in Environmental Impact Assessment (EIA). The Professional Development Program (PDP) is designed to provide EIA training for individuals involved in carrying out, reviewing or otherwise participating in EIA studies of projects. It embraces a comprehensive definition of "environment" to include physical, biological, resource use, social, health and economic aspects of the environment that may be affected by a project. The PDP does not cover specific administrative or regulatory processes which use EIA to inform project approval decisions since they vary somewhat among different jurisdictions and organizations. However, the typical elements of such processes are covered. The PDP will eventually include a suite of courses which may be taken individually or as a group. All of the PDP courses are trainer-supported. Each participant in a course is assigned a personal trainer, and is given several opportunities to interact directly with their trainer during the course using online communication tools. To take a PDP course, you need to have access to a desktop or laptop computer, an email address and access to web-based video conferencing (e.g., Skype) and YouTube. You do not have to be a member of IAIA or one of its affiliates to take a PDP course. IAIA will issue a Certificate of Course Completion for each completed course. PDP Alumni: For verification of participant course completion, please contact kayla@iaia.org. There currently are no available courses.